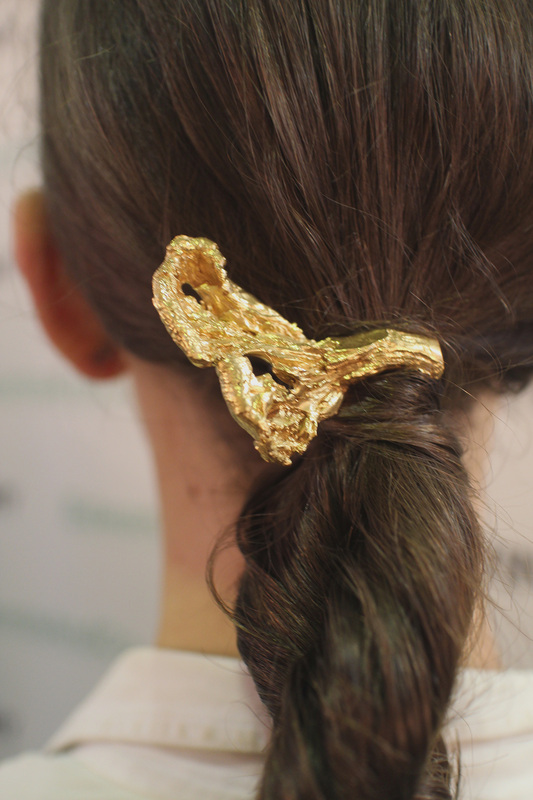 Part accessory and part beauty, the humble hair accessory has emerged as a veritable must-have over recent years. From hair pins used to fasten weighty buns, to strategically placed black bows – it now seems that the hair is ripe for experimentation in the accessories department. 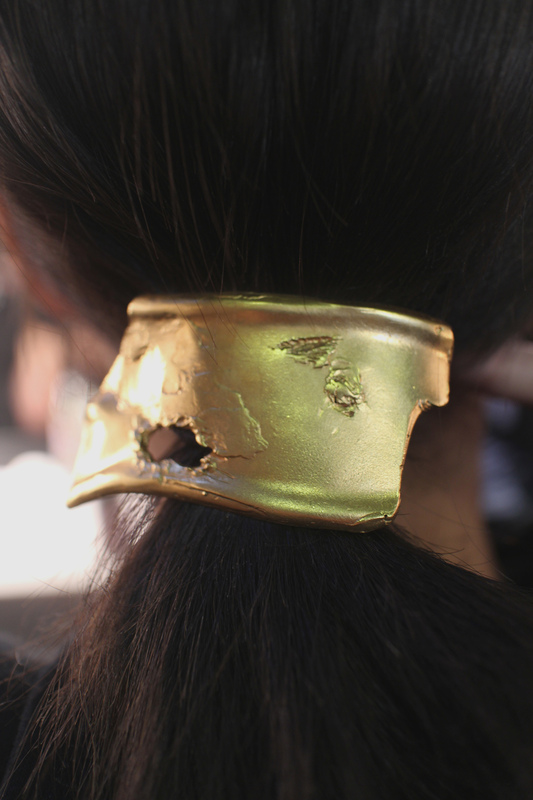 Nowhere was this more evident, though, than at the Anna Quan presentation last MBFWA. 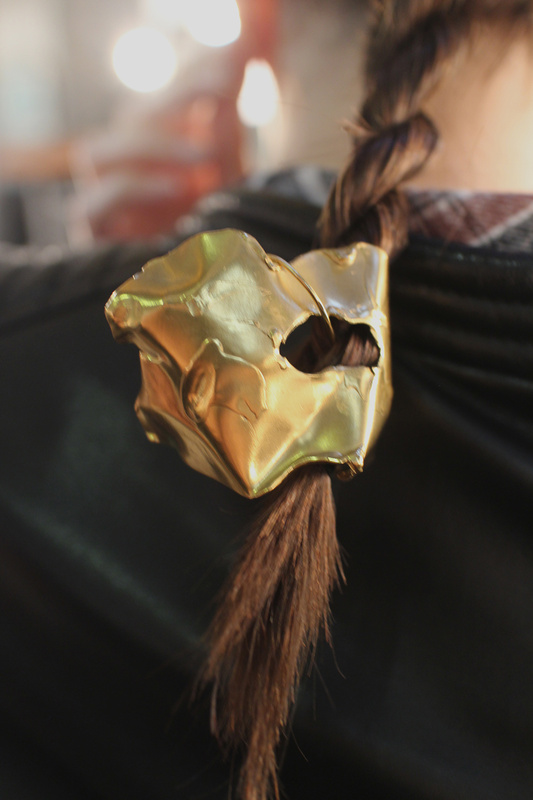 Throughout the show, this Australian designer showcased her collaborative pieces with UK jewellery brand Alighieri. But it was the hair that captured our attention most. 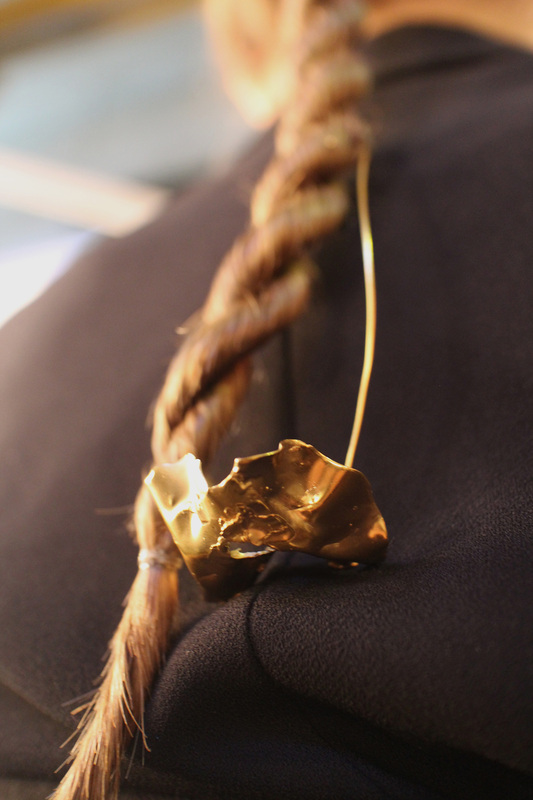 Sleek plaits were punctuated with raw forms of gold-tone barrettes and pins. Which added a compelling proposition for livening up a crisp white shirt. This is Anna Quan’s modus operandi, really – to deliver timeless classics with a compelling twist. That could be an oversized shirt cuff or, in this case, a new take on once-stuffy hair accessories. When you think about it, this ties in perfectly with the way modern women want to dress today; or the delicate balance between timeless silhouettes and contemporary details with fuss-free appeal. It’s the same reason that scrunchies have been making a comeback for some time now too. Increasingly, women have begun reclaiming girly accoutrements such as these, as well as the uber sophisticated barrettes and headbands favoured by stylish older women. But always with a twist. The unexpectedness of these sorts of hair accessory is precisely what makes them so appealing once more.